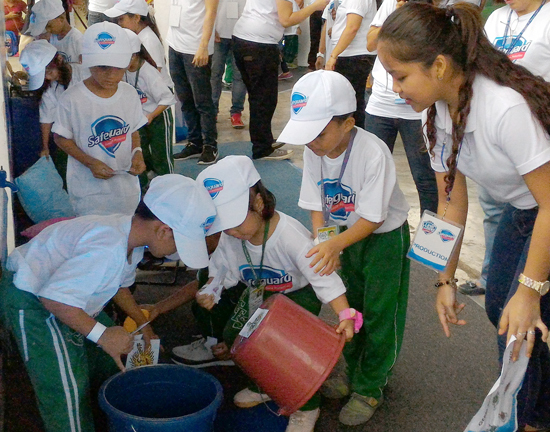 Global Handwashing Day is celebrated around the world today. 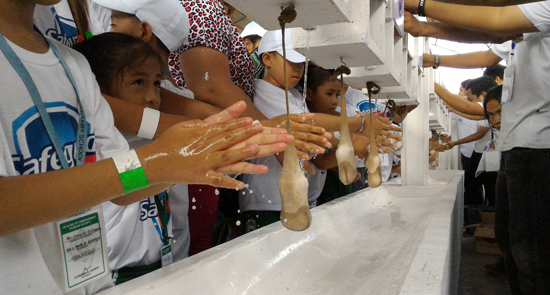 Founded by the Global Private-Public Partnership for Handwashing in 2008, October 15th is dedicated to foster awareness of the importance of handwashing with soap. 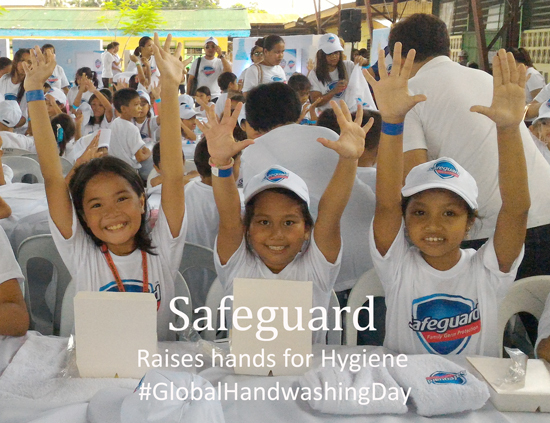 Procter and Gamble (P&G), through its flagship soap brand, Safeguard is not only one of the founding members of this partnership but also a key advocate to Global Handwashing Day in the Philippines. This year’s annual celebration is hold simultaneously in three key cities; Manila, Cebu and Davao. And Woman Elan Vital gets to join the celebration here in Davao City held at Buhangin Central Elementary School. 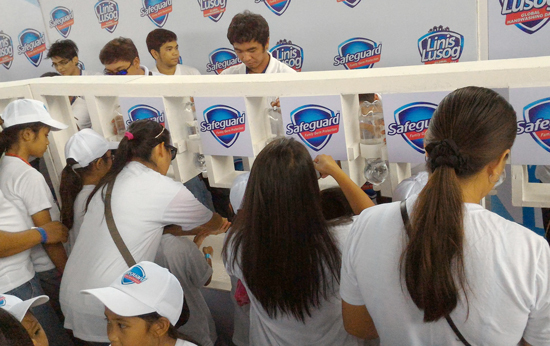 This year’s local theme, “Linis Lusog sa Global Handwashing Day” focused on proper handwashing with soap as a cost-effective solution to prevent diseases, including diarrhea and pneumonia. Per study made by the World Health Organization, approximately 13 children die because of diarrhea everyday, accounting to roughly 5,000 deaths annually. Our national statistics also indicate that an estimated 37 children under the age of five die of pneumonia per day. While our country made progress over the past year to meet the deadline of United Nation’s Millennium Development Goals (MDG4), the fourth of which is to reduce child mortality, still we need to push interventions that will reduce preventable deaths like diarrhea and pneumonia. waiting for the program to start. We Filipinos, especially the mothers who constantly keep an eye of their children should be aware that disease-causing germs can just be found in seemingly trivial everyday items like mobile phones, ATMs, kitchen sinks, water bottle, playground and the school classroom. Thus, Global Handwashing Day is celebrated to further consciousness and educates the parents and the kids alike of the everyday source of germs. 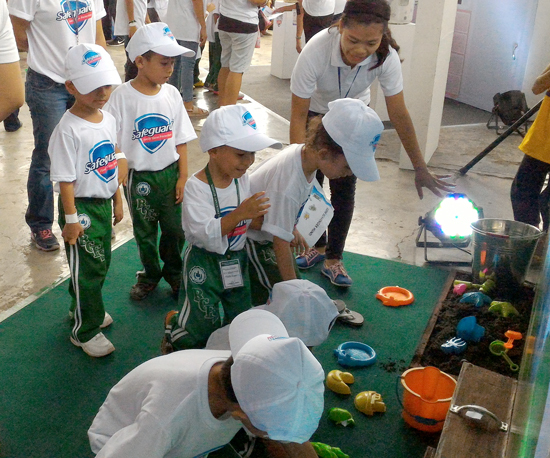 Hence, the kids at Buhangin Central Elementary School were engaged into fun hunting games of scavenging for germs-drawn-in-paper around the make-shift classroom, the kitchen, the living room, the bathroom and the playground. The kids were surprised to know after that there were more than what meets the eye. 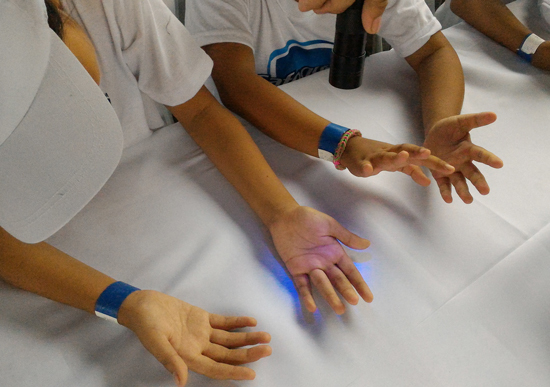 The UV light revealed that everyday items we seem clean, are actually sources of dreaded germs. Of course selfie because we're ready to eat! Now, we’re ready to eat. Clean hands will help prevent transmission of disease from one person to another. Clean hands will keep families, classrooms, schools and communities healthy. 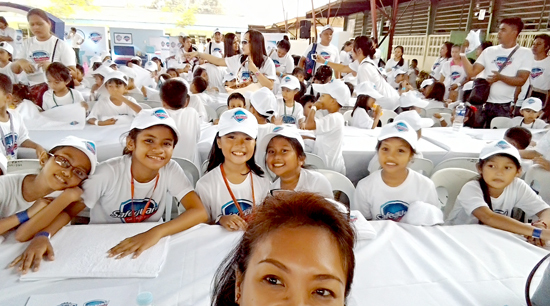 Procter and Gamble (P&G) through its institution brand, Safeguard continues to work closely with UNICEF, the Department of Education and the Department of Health to promote health and hygiene in communities. 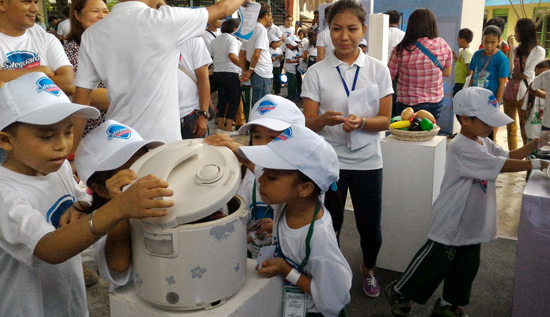 P&G has built handwashing facilities and implemented hygiene education programs in public school nationwide. 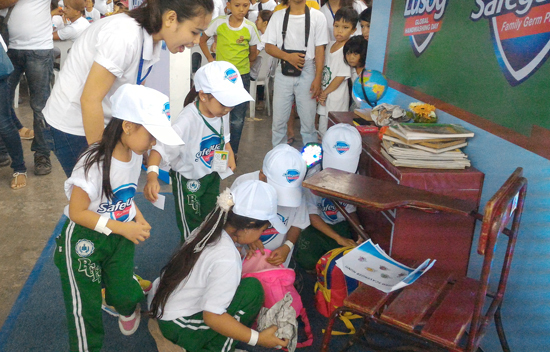 Safeguard also collaborates with various organizations to help promote handwashing with soap, most recently among 8,000 school children in Tacloban, Leyte. Today, Safeguard and UNICEF are working towards implementing the Water, Sanitation and Hygiene (WASH) programs in more schools. This program aims to bring hygiene education and facilities to rural areas where incidence of diseases and child mortality rate are relatively high. “Global Handwashing Day is celebrated annually to advocate for greater attention and investment in programmes that promote and support life-saving practice of handwashing with soap. We all have a hand in keeping our families, schools and communities healthy – if only through the simple habit of washing with soap frequently.” Shares Louise Maule, UNICEF WASH Chief. 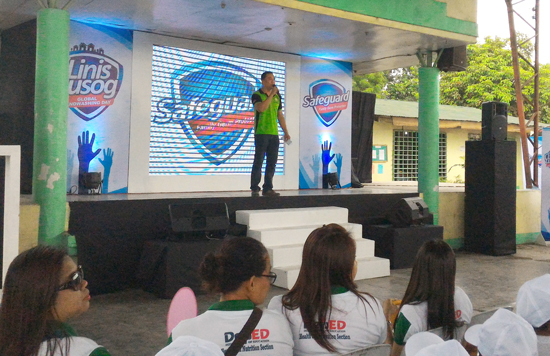 And truth be told, I grew up with Safeguard and it has been my family’s trusted soap brand since I can remember. And as a mother who values the health of my family, my three school children were not only taught but have inculcated in them the value and importance of habitually washing their hands with soap properly. 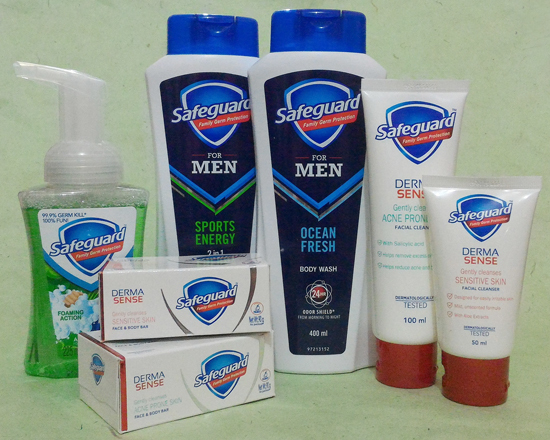 Thank you Safeguard for these goodies, they’ll sure be put into good use. For close to 50 years now in the Philippines, Safeguard continues to be a champion of family health through its promise of superior protection against disease-causing germs. It’s improved Triple Shield Technology with patented Zinc Pyrithione (ZPT) delivers the promise to not only provides protections against more types of diseases, but also helps reduce the regrowth of germs in between washes. What a great event for the kiddos!